← Happy birthday Marlene Dietrich! Happy New Year from Backlots! Thank you for making Backlots’ first year as productive and wonderful as it has been! This blog’s first anniversary is on March 17, and its first 9 months have yielded things I never expected for my first year as a blogger–Backlots was accepted into the CMBA and participated in some fantastic blogathons. We hosted the Dueling Divas Blogathon which was great fun, and were honored to receive a CMBA Award for a discussion of The Heiress. The success this blog has achieved is largely due to you, the readers. If I didn’t see that this blog was loved and read every day, I would never have the motivation to keep up the work this blog takes. So I sincerely thank you for your readership, you make Backlots what it is! I look forward to a marvelous 2012, and wish all of my readers the same. 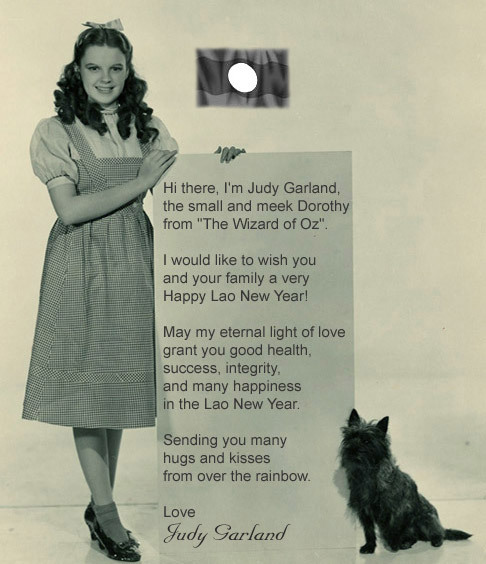 Even though Judy seems to prefer my readers in Laos, I’m pretty sure 2012 has already arrived in southeast Asia, so I’ll take the lead and wish EVERYONE a happy new year! Have a great one! Happy New Year, Lara! Keep up the great work here. Ya done good! Happy New Year Lara! It’s been a blast getting to know you over the past year. I’m looking forward to what you have in store for us here at Backlots during 2012. Keep the great posts coming! Happy New Year! I do enjoy reading your posts, and your site is one which has helped inspire me to create my own! Sorry I’m late to the New Year’s greetings, Lara (the New Year hit the ground running for me), but I’m very much looking forward to more BACKLOTS fun and frolic in 2012 and beyond! Keep your excellent blog posts coming! Lara, looks like you’ve been busy too — I haven’t posted anything on my blog since my New Year post. Hope you find time to do something new, miss your stuff — I’ve finally got time, just have to get my rear in gear!